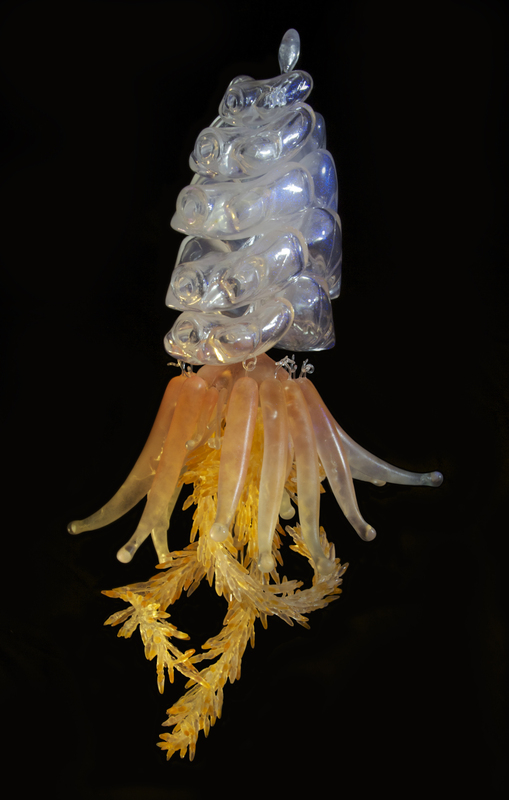 This peculiar cnidaria belongs to the order of Siphonophores. 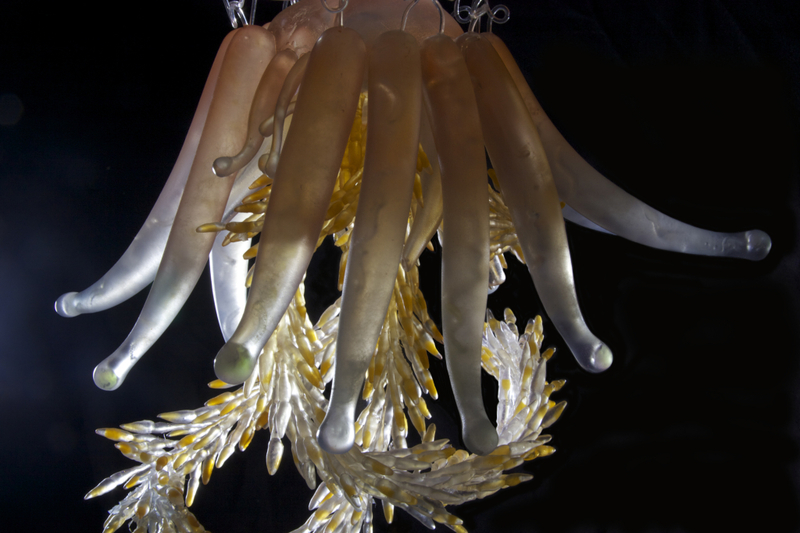 Siphonophores are often several individual cnidarians fused together into a large colony. This colony can reach a total length of 8-12 cm, and are widespread in the Atlantic, Pacific and the Indian Ocean. 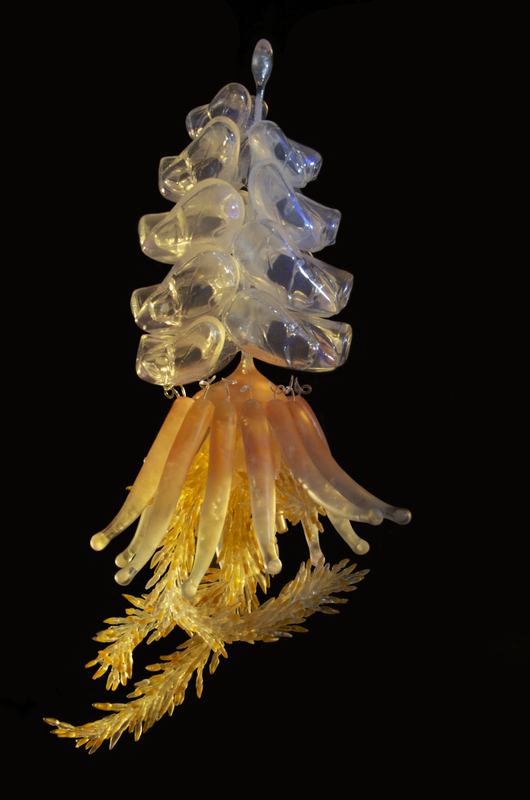 The top part is comprised of swimming bells, that pulsate like individual medusae. These grow to 20 mm in height, and are arranged in two rows, approximately 30 cm each. Underneath the swimming bells are several banana-shaped, orange or violet colored tentacles arranged in a hula-skirt resemblance, giving this deep-sea carnivorous species the name of Hula Skirt Jellyfish. 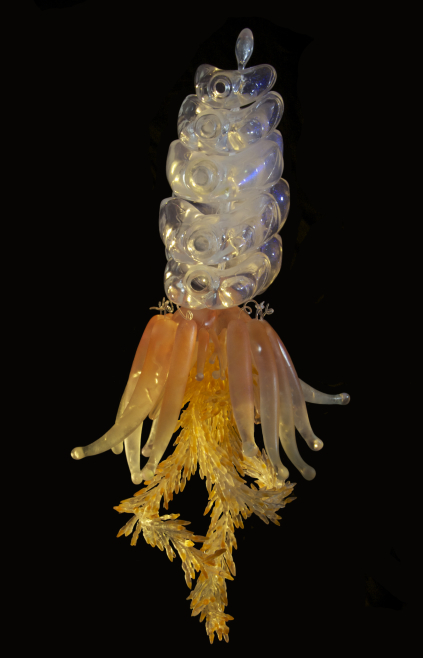 The tentacles functions as gas-filled floats that helps with buoyancy, but do also cause painful stings. 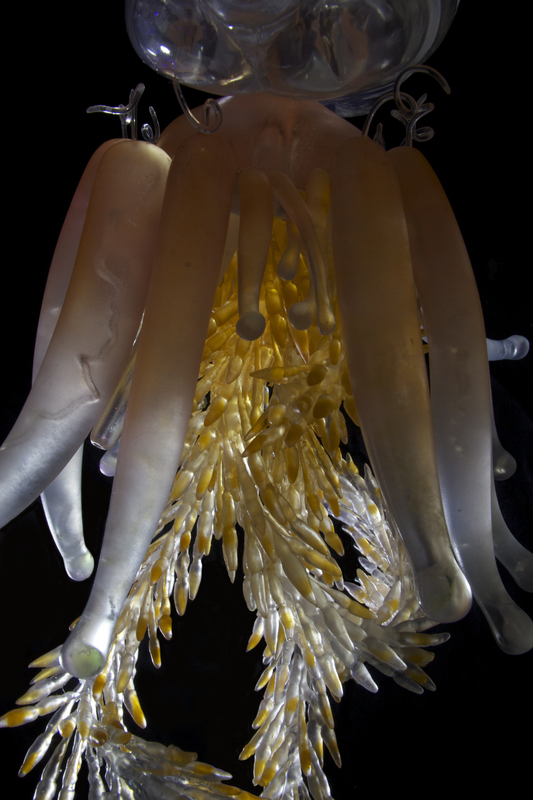 At the base of the float there are long threads packed with small animals with specialized tasks in the colony.